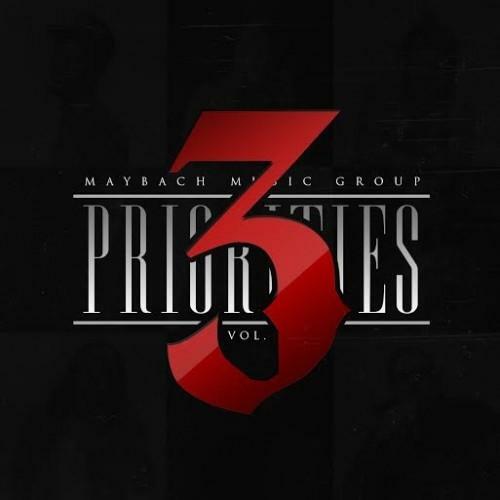 Download MMG's new "Priorities 3" mixtape. This is the third instalment in Maybach Music Group's ongoing Priorities mixtape series, featuring freestyles, choice album tracks and mixtape cuts from the likes of Rick Ross, Omarion, Tracy T, Fat Trel, Wale, Stalley, Gunplay, Meek Mill, DJ Sam Sneak and Whole Slab, with guest appearances from Young Dro, Common, Ice Berg, Lil Wayne, Kanye West, Que, Waka Flocka Flame, Big Sean and Yo Gotti. Was this a necessary addition to MMG's catalogue or nah? Let us know what you think, folks. If you missed it, cop the original Priorities tape here, and hit The Untouchable Maybach Empire with a follow on Twitter if you wish: @MaybachMusicGrp.